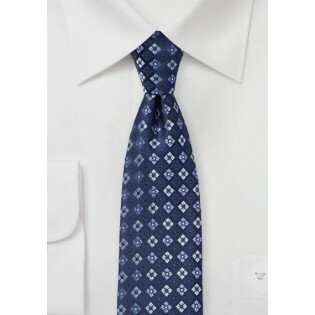 Neckwear brand PUCCINI created check pattern out of a finely woven floral design. The colors navy, sky blue, and royal blue pair exceptionally well with your entire wardrobe. Also available in navy with florals in pink and silver, as well as cherry red with florals in light blue and lavender. 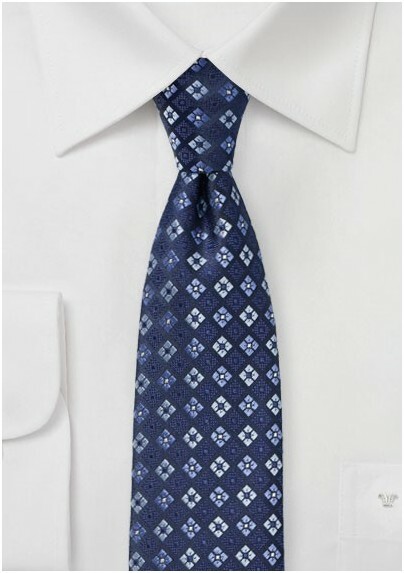 Handmade using finest woven microfiber fabrics by one of our favorite tie brands.